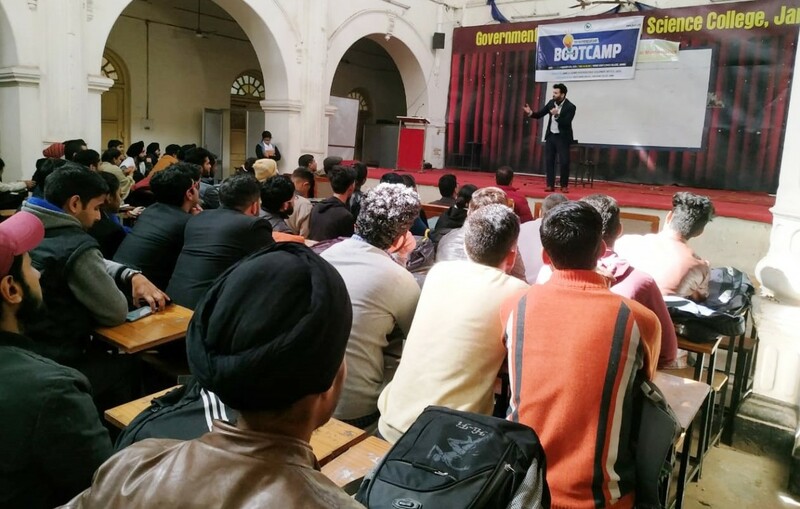 Jammu and Kashmir Entrepreneurship Development Institute (JKEDI) organized two boot camps at Ramnagar, Udhampur and GGM Science College, Jammu. At Ramnagar, Udhampur the program was attended by 210 students. The program was coordinated by Rayees Manzoor, Faculty at JKEDI. At GGM Science College, Jammu 108 students participated in the boot camp while 30 ideas for startups were received by the JKEDI team. Syed Firdous, Project Manager at JKEDI coordinated the program. During the program, JKEDI faculty and the resource persons shared their views on the need of Startups in the present times and a PowerPoint Presentation was also presented to motivate students to pursue innovation and technology-driven entrepreneurship as a career choice. On the occasion action plan of the Startup, Policy was also shared with the participants that offer handholding and funding support along with incentives, industry-academia partnership and incubation etc.